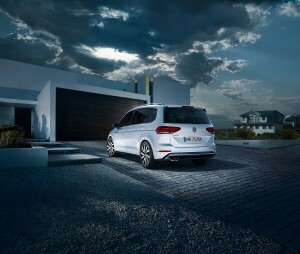 As people carriers go, the VW Touran is going to look different from its competitors with the new R-Line. The popular seven seater, which regularly wins awards for being the best MPV in its class, is available to order for the first time in its new R-Line guise. The idea behind the R-Line trim is that it brings a sport equipment grade including enhancements to the interior and exterior styling. This means the kerb appeal, and what VW calls its ‘on-road attitude’ and cabin style will be boosted. To help boost the performance of the new range topping VW Touran, the R-line comes with a choice of engines ranging from a 1.4litre TSI to the impressive 2.0 litre TDI. All of the engines a couple to either a six speed manual or seven speed automatic gearbox. There’s also, to help boost fuel economy, a selection of the firms BlueMotion technology including brake energy recuperation, start stop and low rolling resistance tyres. This means that drivers of the new VW Touran R-Line can enjoy fuel economy of 50 mpg for the 1.4 litre TSI which produces 150 PS. For those who opt for the 2 litre TDI 150 PS, fuel economy will be a healthy 63 mpg. Exterior design tweaks include a new radiator grille, bumpers and side skirts. The R-Line also comes with 18 inch alloy wheels. Inside, VW have added various additions to signify the R-Line heritage including a leather trimmed and multifunction steering wheel and inserts in the console, dashboard and front doors. Prices for the VW Touran start at £27,740 for the 1.4 TSI BMT with a six speed manual gearbox and rise to £31,500 for the 2 litre TDI SCR BMT with a six speed automatic gearbox. 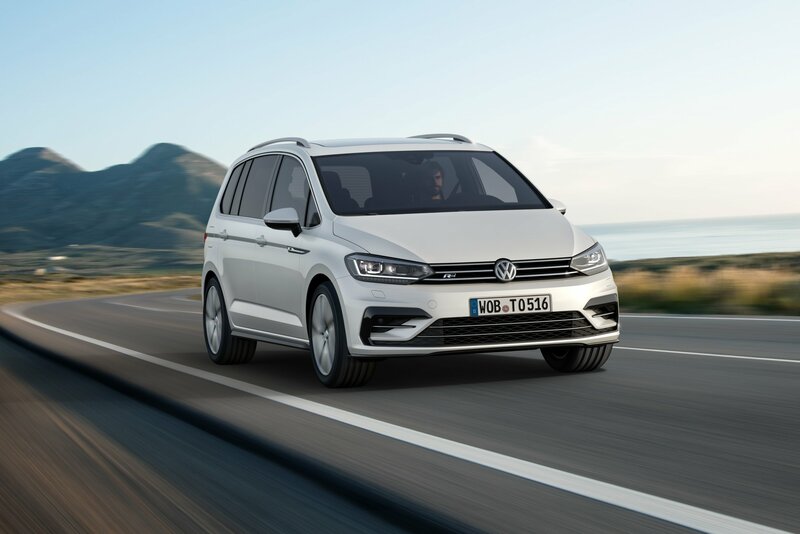 The VW Touran is an excellent MPV and offers space and excellent handling abilities in what is a great all-round package and the new R-Line will help grow its popularity. This entry was posted in Car Leasing, Cars, Family Car, New Cars and tagged VW Touran by Steve Lumley. Bookmark the permalink.